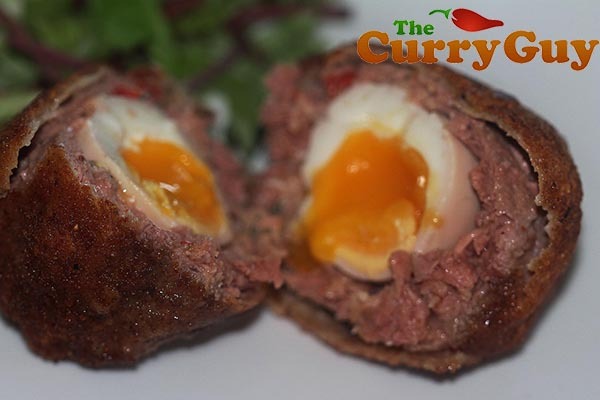 The best Scotch eggs aren’t Scotch eggs! They nargisi koftas. 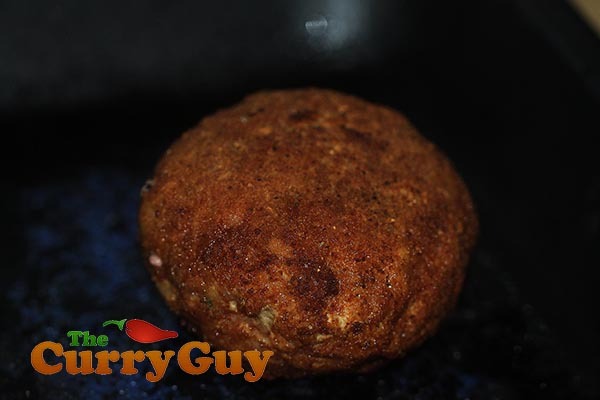 These nargisi koftas are excellent served outdoors right off the barbecue. You can prepare them indoors up to the frying. Then take them outside to heat up over indirect heat on the barbecue. Like all of the tandoori recipes on my site, you can also cook them in a home oven which is what I did here. Cook the hardboiled eggs to your liking. For soft yolks like photographed, boil the eggs for no more than seven minutes. For hard yolks, boil your eggs for ten to twelve minutes. Once cooked to your liking place the eggs in their shells in cold water to stop them cooking. The meat is prepared exactly as lamb seekh kebabs. You can read that recipe here. The key to success is in getting the “lace” texture which you get by kneeding the meat and scraping it as you do onto your work surface. Again, this is demonstrated in my lamb seekh kebab recipe. You will notice that one of the nargisi koftas is redder than the others. I added a teaspoon tandoori masala paste which added both colour and flavour. I like them both so I made both versions. The meat prepared and then rolled out flat. 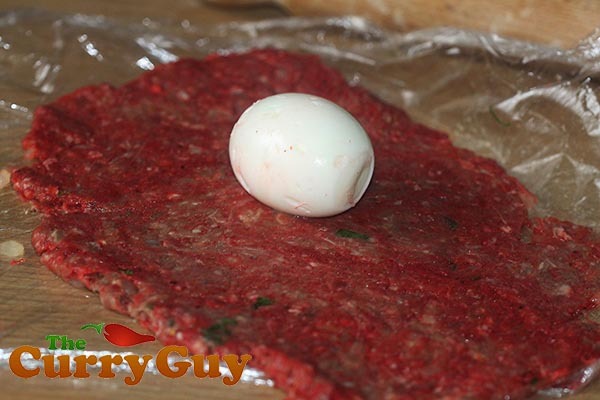 Using the plastic wrap under the meat, form it around the egg. First dust it with the flour. 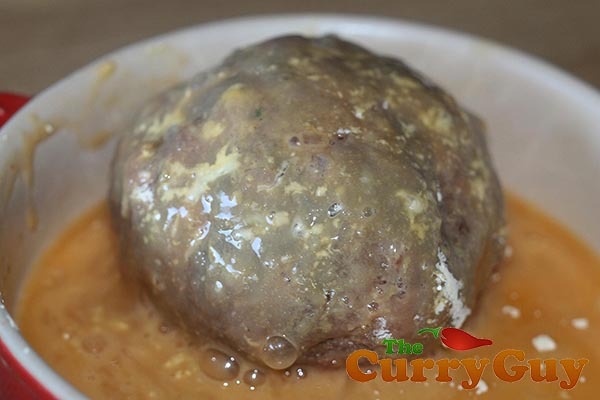 Then dip your kofta in the beaten egg. Roll out 150g of minced lamb between two layers of cling film until thin and flat. Remove the top layer of cling film and place a hardboiled egg on top. 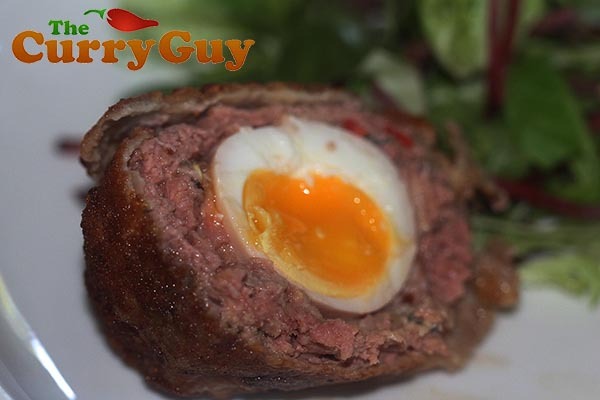 Using the bottom sheet of cling film, bring the meat up and form in around the egg. 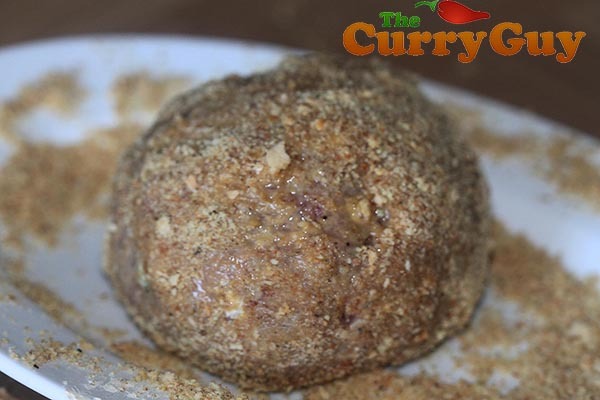 Dust the nargisi kofta in the gram flour and then coat it in the whisked egg, followed by the toasted bread crumbs. This can all be done ahead of time for ease. Pour enough oil into a wok until about 3cm deep. Heat the oil over high heat. Your oil is ready when a few breadcrumbs sizzle immediately when thrown in. 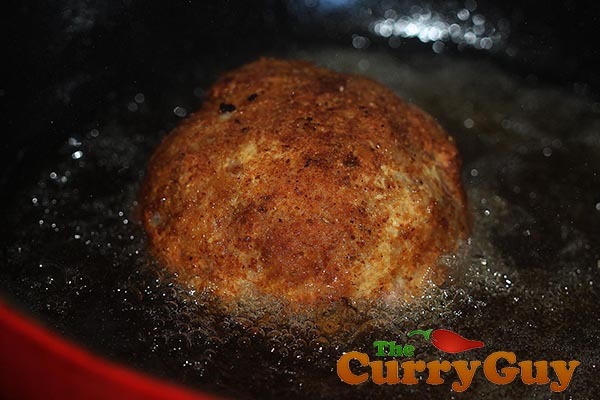 Place your nargisi kofta in the oil and fry all over for about three minutes until nicely browned. 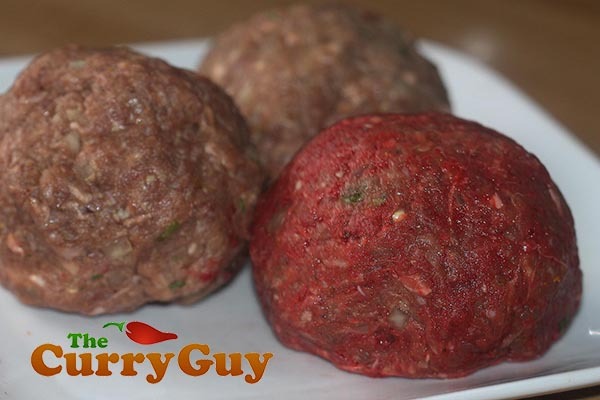 Remove and repeat until all of your koftas are ready for the oven. Pre-heat your oven to 200c. 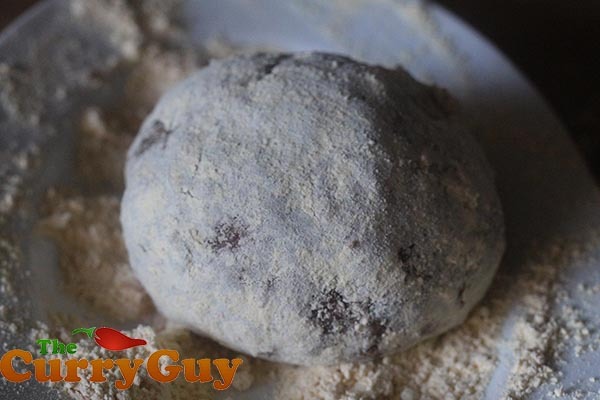 Place the fried koftas in the oven for about seven minutes. The meat should already be cooked from the frying. This will just warm them through.